The CQC say employers have a duty of care to their healthcare workers and service users and this duty includes the control of Legionnaires’ disease. d. There are deposits that can support bacterial growth, such as rust, sludge, scale, organic matter and biofilms. Most businesses will appoint an external company to carry out a Legionnaires’ risk assessment and be the named competent person ensuring the above points are covered. d. the presence (and numbers) of people who may be exposed, especially in premises where occupants are particularly vulnerable, e.g. healthcare, residential and nursing homes. The duty holder must ensure that a risk assessment is undertaken. The risk assessment can be done by an external specialist. The duty holder is the person who is either the employer, self-employer or the person in control of the premises. Section 28 of the ACOP states that a suitable and sufficient assessment must be carried out to identify and assess the risk of exposure to legionella bacteria from work activities and water systems on the premises and any precautionary measures needed. Have you carried out a risk assessment on your premises? 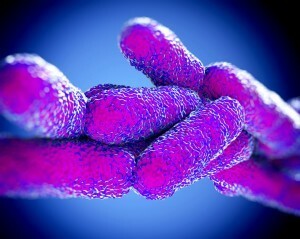 Principal Hygiene have a team of Legionella Risk assessment professionals call us for a quote or for some easy to follow advice…….Call Mary on 01772 817600 or email her at mary@principalhygiene.co.uk.